Today, as I write this post, it's Mother's Day. The sun is shining, the kids are happy, the husband is making me dinner, friends are abundant and I'm feeling...well...joyful. I'm also feeling a little guilty about the way I'm dragging my feet on writing this post. Did I mention it's Mother's Day (which according to my kids is a day that's better than your birthday, Christmas and in-school party all wrapped into one)? Instead of filling you up with words about joy I'm going to give you some pictures of things that make me joyful. Joy, that my mother/daughter cloning experiment was successful. Joy, to be found in a beautiful table, hastily abandoned and scattered with half-eaten pieces of pizza. Joy, that the bunny ear photo move is still a classic. Joy, in a job well done. And finally, the joy, that can be discovered in reaching for forbidden chocolate left in high places. Thanks for stopping by to share bits of my joy. And, if you haven't already figured it out from the foregoing photos, one of the things that makes me most joyful is being a parent. Happy Mother's Day (a day late). Here's hoping you all had plenty of time to enjoy your joy! Happy happy joy! Thanks so much for sharing these gorgeous photos. Sounds like you had a wonderful mother's day. lol Me, too! Your little boy is after my own heart. I was always climbing on the counter. I'm so short, I still do, too. How sweet, I love how your cloning experiment turned out. Kind of like mine. Very nice pics. Great Mother's Day for you. Love it and love the photos. You have some seriously gorgeous munchkins! I'm glad your Mother's day was wonderful and filled with good memories. You have lovely children and you gotta love the hijinks they get up to. 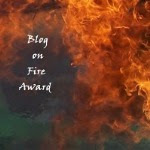 I wanted to thank you for your recent visit to my blog to check out my Reflections Post. Rachel, me too. You think I'd know better than to put it up there. So glad you did too Donna. Anne, aren't those cloning experiments great! Susanne, my pleasure and I enjoyed it! Happy (belated) Mother's Day! What great pictures and what a wonderful post! Always nice to meet another participant from The Cloning Experiment. I was part of the Father/Daughter subset, and The Wife was part of the Mother/Son attempt. Both were a success. Following you back from my blog! What wonderful pictures--your joy is so evident. I hope you had a happy, happy Mother's Day!! Your children are gorgeous. Thanks for sharing some with us!